It is easy to guess why cigarette company Phillip Morris gave the Liberal and National parties more than $100,000 before the 2013 Federal election. But why do other companies and business people make political donations of thousands of dollars? Often these gifts are given to individual candidates or group campaigns including those at local government level. There are six State electorates in the region: Burdekin, Hinchinbrook, Mundingburra, Thuringowa, Townsville and Whitsunday. The Liberal National Party holds all these seats, as you would expect having won 78 out of 89 at the Queensland 2012 State election. It also holds the Federal seat of Herbert, which covers Townsville. The only real Australian Labor Party outpost is at local government level where Councillor Jenny Hill is mayor of the City of Townsville. 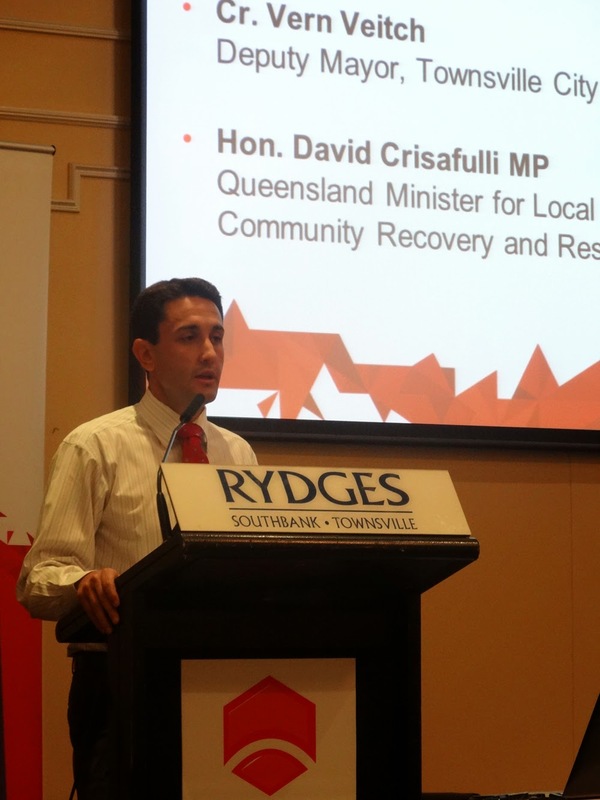 Digging started with Mundingburra where the sitting member, David Crisafulli, is also the Minister for Local Government, Community Recovery and Resilience in Premier Campbell Newman’s team. He is a former Townsville city councillor and was eyeing the mayor’s position before gaining pre-selection for the State seat. Crisafulli’s 2012 candidate disclosure form for the Electoral Commission of Queensland looks pretty dull at first glance. You’d expect the odd coal mining company and the like to be on the donor list. However, there is an outlier in the data, as they call it in the IJ game. One of the donors, Humanis, has a Melbourne address and a fair bit of activity on the form. A quick search revealed that it is now known as Bluestone Global Limited (BGL) ‘an international recruitment, professional placement and labour hire specialist’. Humanis also contributed $5000 to the unsuccessful 2012 Townsville mayoral campaign of Dale Last, a member of the LNP who was part of the Townsville First group. So what is the connection? Who stumped up the money and why? BGL has many interests in Queensland. Rabieh Krayem was a director of Humanis Group at the time, and CEO and Managing Director from April 2011 to May 2013. He has also served as a director of Port of Townsville Ltd from 1 October 2009 to 30 September 2012. However, he is not the only or most intriguing Humanis person of interest. Their chairman from 2 May 2011 to 6 September 2012 was Craig Anthony Ransley. Craig is the director of ResCo Services Pty Limited, a company he founded that is now part of the BGL group. Incidentally, according to Bloomberg Businessweek, Rabieh Krayem has been Managing Director of ResCo Services Pty Limited since April 2011. Everything seems to be connected these days, especially in the world of business and politics. The connection with Craig Ransley leads us to back to NSW and the investigations of ICAC (Independent Commission Against Corruption). Ransley and his associate Andrew Poole were “found corrupt” for their involvement with the Doyles Creek Mine, infamous for the roles of NSW Labor Party ministers Ian Macdonald and Eddie Obeid. International recruitment specialist Bluestone Global Limited (ASX: BUE) today announced that non-executive director Andrew Poole has requested leave of absence from his duties, following a current public inquiry of the New South Wales Independent Commission Against Corruption (ICAC). So it is not clear which individual may have been responsible for initiating the donations to David Crisafulli and Dale Last. But there is another clue hidden in the original document of this money trail. Another Crisafulli donor was Guildford Coal Ltd of Newcastle. One of the transaction dates on Crisafulli’s disclosure form, 16 February 2012, was common to both Humanis and Guildford. At the time Craig Ransley was a non-executive director of Guildford, having been its founder and chairman. Former Liberal Party Federal MP for Herbert, Peter Lindsay, was the chairman in 2012. Former Labor Federal MP for Maribyrnong, Alan Griffiths, currently holds that position. 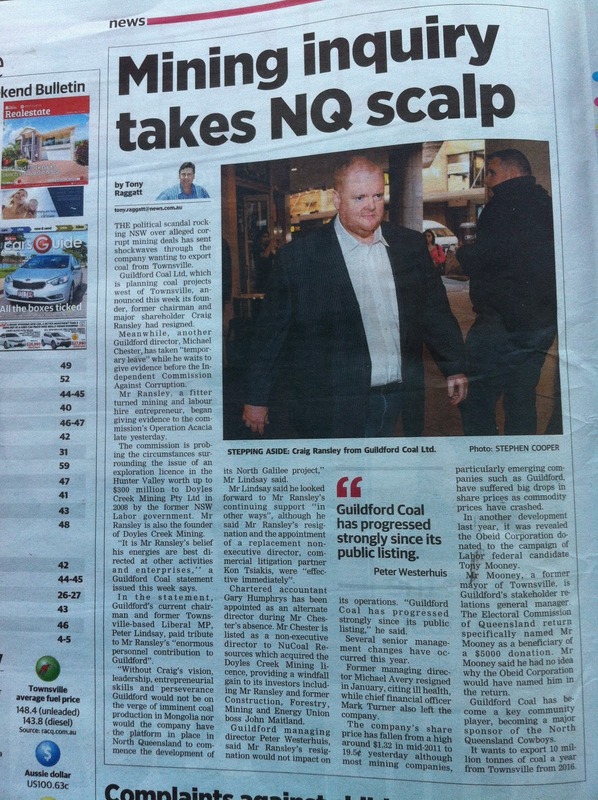 Just to square the circle, former Labor mayor of Townsville, Tony Mooney, is also a director of Guildford Coal. It should be noted that there have been no allegations of corruption against Guildford at ICAC. Guildford Coal also donated $5000 to the conservative Katter Australia Party on 20 March 2012, just four days before the State election. So did Craig Ransley, on the same day in fact. Both of these donations, plus the one to Townsville First for Dale Last, were formally disclosed by the donors. However, Humanis does not appear to have submitted a form for its Crisafulli donation. Townsville First’s group return does not list Humanis as a donor. On the face of it, there were a number of breaches of the legal requirements for disclosure of political donations. Guildford signed a Memorandum of Understanding (MOU) with the Port of Townsville Limited (POTL) in December 2010, to conduct a feasibility study on the logistics of exporting coal through Townsville Port via the Eastern Access Rail Corridor and utilising the Townsville State Development Area. HAS anyone heard of from Mr Craig Ransley lately? ...Mr Ransley lived in Townsville for a time while trying to shore up coal contracts around Hughenden. 'In another development last year, it was revealed the Obeid Corporation donated to the campaign of Labor federal candidate Tony Mooney. Mr Mooney, a former mayor of Townsville, is Guildford's stakeholder relations general manager. The Electoral Commission of Queensland return specifically named Mr Mooney as a beneficiary of a $5000 donation. The story is no longer online but the newspaper image on the blog is legible and the ECQ return by Obeid Corporation is still available. 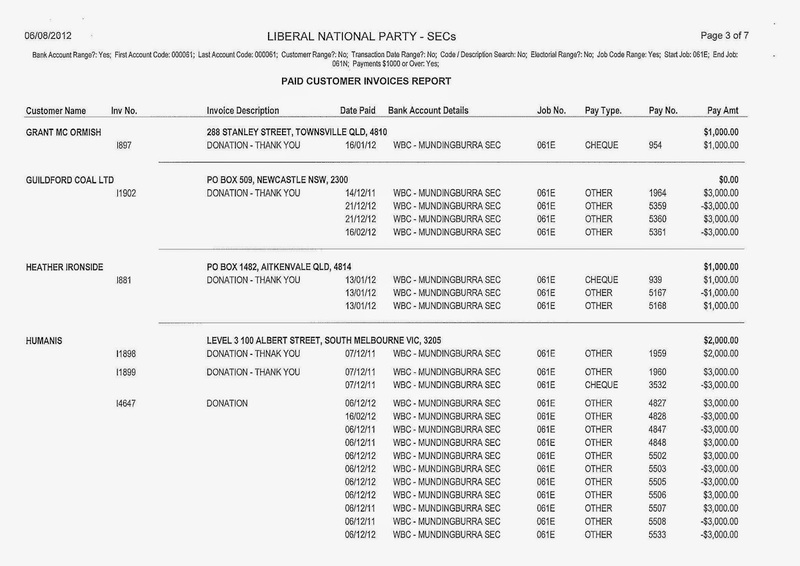 The Australian Labor Party (State of Queensland) return for the Second Half 2010 does show a $5000 donation from Obeid Corporation. It is a pity that the Queensland government has legislated to increase the level at which political donations must be publicly disclosed from $1000 to $12,400. They are just trying to take all the fun out of Investigative Journalism 101. Not to forget the chance of more political accountability that could come with a rigorous donations reporting system. In relation to the 2012 Queensland State general election, the Commission currently has not engaged in court proceedings to enforce compliance with funding and disclosure provision. As this compliance regime remains in progress, the Commission cannot comment further on individual matters ongoing or under review. Unless we have real transparency, accountability and enforcement, the money might as well be given in plain packages like the bad of days of Joh Bjelke-Petersen's brown paper bags.